As many of us know, Coco is Pixar's recent release that focuses around Mexican culture- specifically on Dia de los Muertos. However, a deeper dive into Coco and its music will also bring you to another piece of Mexican folklore, The Crying Woman. Who is this woman, you ask. 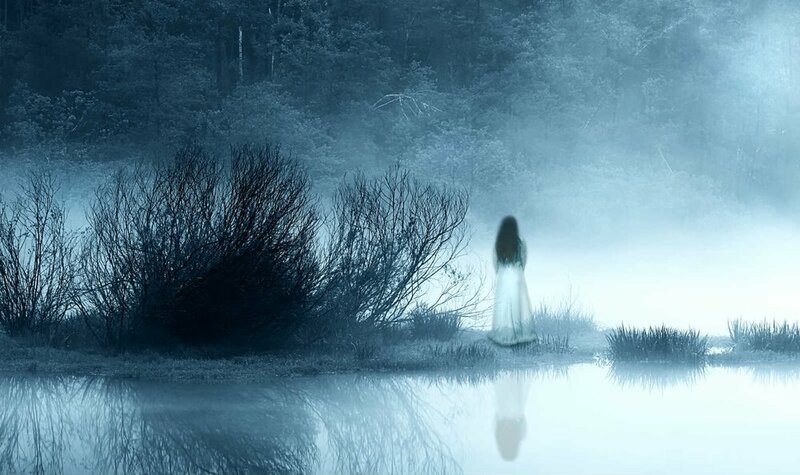 Legends of La Llorona, also known as the crying woman, dates as far back as Aztec days where the goddess Cihuacoatl was said to take the form of a beautiful lady dressed in white who cries throughout the night in misery about what will happen to her children- the Aztecs- when the Spanish come. Another story, set in the 1500s, is of a woman named La Malinche who, after being betrayed by her husband/lover, killed her twin baby boys and dropped their bodies in a lake- her ghost is then seen by the lake weeping and wailing for her children around this lake. Multiple stories arise throughout Latin culture about a woman who was betrayed in some way by her husband and then kills her children as revenge- she is said to be La Llorona, coming back to cry and wail about what she had done in life and what was done to her. Many of these stories can be found here discussing the legends and following it through the years. But how does such a graphic and sad legend tie into a Pixar film- that's clearly the question right? Well, first, I have to say that there will obviously be Coco spoilers- so go see the film first then come back to me. Now, we need to look at the character who sings this song in the movie- Mama Imelda. She is the matriarch of Miguel's family, who, we learn at the beginning of the film, was betrayed by her husband due to his love of music- he leaves her and their young daughter to pursue a musical career. Mama Imelda then, since this is a Pixar film- she cannot kill anyone of course, must "kill" music by cutting it out of her life, as well as the rest of her family's life. This sacrifice is, at first, played off as a matter of fact- she had to do this since it was music that tore her family apart and now, to move on, she would put music aside forever. We only learn later in the film how Mama Imelda did, in fact, love music. The sacrifice of cutting this out of her life must have been similar to the legends of La Llorona sacrificing her own children as a means of revenge for her husband's betrayal. But, just as the legend indicates, the loss of music/children clearly impacts Mama Imelda/La Llorona to the extent that she cannot be completely at peace with her decision. This is evident when we meet Mama Imelda- she is portrayed as mean, forceful, and no-nonsense. She initially places the condition to Miguel that he never pursue music again- a condition that, if he did not follow, would keep him trapped in the land of the dead and so kill him. While this condition seemed harsh to many, we can now see that it was due to the great sorrow that music had in her own life that she was attempting to save Miguel from. We see later in the film that she is, in fact, more than understanding towards Miguel's love of music- she lets down her guard and shows that her happiest memories are of her and her family surrounded by music. To accentuate this, she sings the La Llorona song. While this song goes back to the mid 19th century, it was made well known by Raphael, a Spanish singer, in 1968. Then, in 1993 Costa-Rican born Mexican singer Chavela Vargas brought it to contemporary audiences. The song in Coco uses portions of the folk song that highlight, in particular, the sorrow behind the tale of La Llorona. And having this song be sung by Mama Imelda, which is presumably her first time singing since her husband left her (while she was alive), is an underline, bold, italicized bullet point emphasizing not only her love of music, but her sorrow at its loss in her life. The subtly of this song being used is only lost to those who don't seek out the translation. Here is it below- the song from the movie with its translation to the right. We can see in the lyrics that, it would be Hector was the one that lost his life by loving music, no matter what. But we can also see that Mama Imelda also lost a component to her life that caused her great sorrow- both her husband and her source of joy. While Mama Imelda may have always seemed hard and strong to her family, the lyrics make you wonder how many times, particularly when her daughter was young, did she cry to herself with no one to comfort her about the losses in her life. Just as legends do, Mama Imelda became the legend in the family for being the rock that kept her family moving on in life. But, here, while she sings this song, she is raw with emotion, and we see the toll the sacrifice made on her. 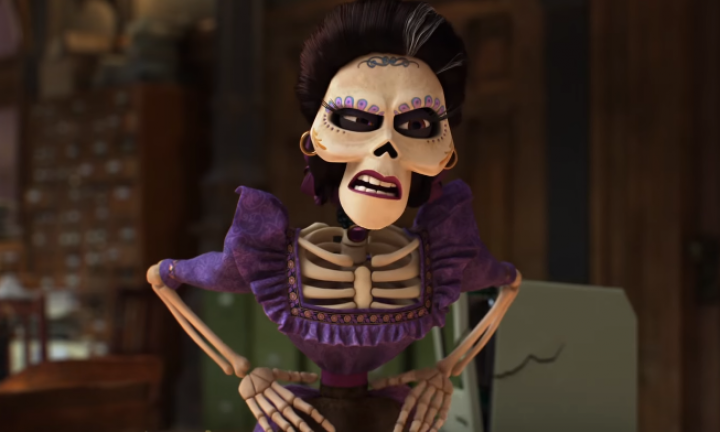 Coco brought the lore behind Dia de los Muertos to the everyday American audience that maybe had no idea the deep family connection this holiday held for many. But the movie goes even further to demonstrate another folk tale that captures the emotional side of Latin culture and shows that, life, without music, is truly sorrowful indeed. So celebrate as the family does- with song and with each other, both alive and dead, by keeping those who have passed on alive through stories and songs of their lives.